Here at IKRUSH, we bring to you the most on trend and fashionable jackets there are. 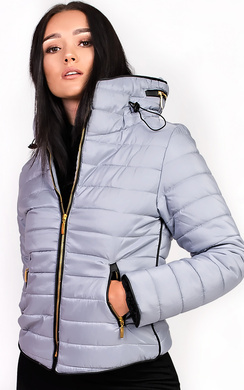 From coats, puffer jackets, bombers or even denim we have them all! 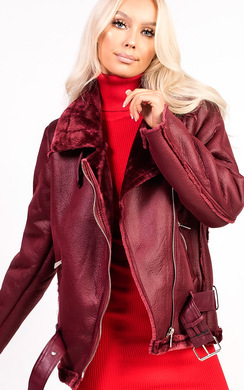 We love how you need jackets in your wardrobe all year round which means there’s no excuse not to have a few stashed away in your closet for any occasion that may pop up. For a more casual vibe, we highly recommend denim jackets and bomber jackets. These styles are so versatile when styling with any outfit and they tend to be a great weight, not too thin that you will remain cold, but not too thick that it’s too hot. We love styling these jackets with a pair of skinnies and some killer kicks for a laid back casual vibe. 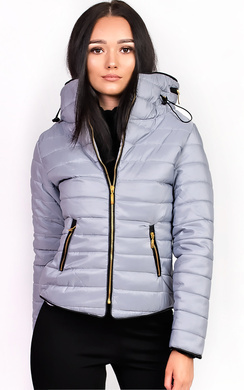 If you are looking for that perfect winter jacket to keep you dry from all the rain and snow and warm and cosy - we highly suggest going for one of our great padded jackets with a faux fur hood! These styles will keep you super warm and they are so stylish in the fact they are available in so many colours! 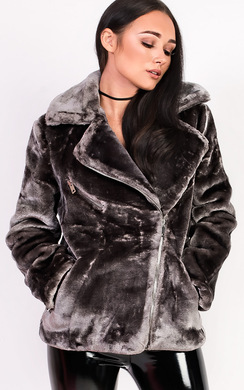 For a more fancy, going out style, we are loving our faux fur coats and waistcoats - they go with everything and they make every outfit have a glam luxe finish! Browse our great range of jackets now and decide what style you are looking to rock this season. Remember, head over to our sale section and you might even grab yourself a discounted bargain!